The international society of sugar cane and technologists defines imbibition as “The process in which water or juice is applied to bagasse to enhance the extraction of juice in the next mill”. Imbibition is the process which is generally adopted in all the strength milling tandem in one form or other.Simple Imbibition: The process of adding water alone to the bagasse is known as simple imbibition. Compound Imbibition: Water is added to the bagasse going to the last mill. The juice from last mill is added to the bagasse coming to the penultimate mill and the juice from the penultimate mill is sent to the preceding mill and so on. Depending upon the number of stages this is also known as double, triple, quadruple compound imbibition and so on. Fine fraction of bagasse obtained by screening or pneumatic separation, generally used as a filter aid in filtration. Cane residue leaving mills after extraction of juice. The stream of wet bagasse or bagacillo separated from raw juice by the juice screens. The dry fibrous insoluble structure of the cane plant. Generally taken to mean all insoluble material in the cane delivered to a mill, and therefore includes soil or other extraneous insoluble matter in cane. Water forming part of the cellulosic structure of the cane, and hence not part of the juice expressed in milling. It cannot be separated from natural fiber by mechanical means but is driven off at elevated temperatures. Process step in juice purification in which lime is introduced into the sugar juice in the form of milk of lime or lime saccharate solution. Polyelectrolyte in solution added to juice to assist clarification. The most common flocculants used for juice clarification is anionic type and the cationic type of flocculent. Generally a good flocculant should improve flocculation, increase settling rate, reduce mud volumes, and most importantly, increase the clarity of the clear juice. Treatment of raw sugar crystals to remove the film of adhering molasses. This is achieved by mixing sugar with a concentrated syrup and then centrifuging the magma with or without water washing. That part of the sugar mill in which the processes of production of sugar from raw juice are carried out. It is also referred to as the back-end or raw house. Clarification using phosphoric acid and lime, in which certain nonsugar components are removed by flotation. Lime is the only main clarifying agent used for this process. The lime consumption is about 0.06 – 0.08 % on cane. Along with lime, carbon dioxide gas is passed through the juice and calcium carbonate precipitate is formed. The lime stone requirement for this process is about 2.5-3.5% on cane. In this process lime and sulphur dioxide gas are used as main clarifying agents. A precipitate of calcium sulphite is formed. The lime consumption is about 0.12 – 0.2 % on cane. The sulphur consumption is about 0.04 – 0.08 % on cane. A clarifier is used to separate out the solids suspended in the cane juice. These solids originate from sand adhering as well as material inherent from the cane stalk. The separation takes place by allowing the solid particles to settle out onto a tray. The solids are swept from the tray into a mud compartment and clear juice sent to further process. Juice comes from clarifier after removing sedimentation is referred to as clear juice. Material retained on the filter screens and discharged from the filters after filtering clarifier muds. Liquid passed through the screens of the filters. Difference between the temperature of a boiling sugar solution and the temperature of boiling pure water, both measured at the same pressure. One of a system of evaporators operating in series as a multiple effect system (e.g.,first effect, second effect). Condensates and vapors are labeled correspondingly. It is a cylindrical shaped mild steel fabrication which holds tube plate at its top and bottom ends, and has a drilled flange at the bottom. Steam/vapour entry is provided on the calendria and tubes are expanded in the tube plate. 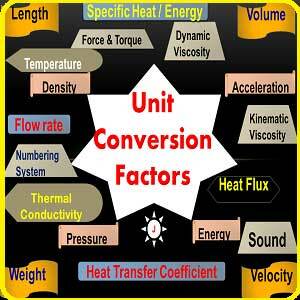 Carry over the juice particle along with the vapour is known as entrainment. During evaporation process, fine droplets are projected in the stream of vapors produced due to boiling of juice. These droplets of juice not recovered than it will mix with condensate formed in the calendria of the succeeding body or it will go to spray pond along with condenser outlet water. This carry over of juice droplets along with vapour is called as entrainment. Apparatus for removing juice, syrup or massecuite entrained in the vapor. some times it is also known as catchall or save-all. The concentrated juice from the evaporators. 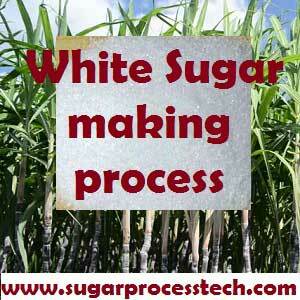 General Terminology in sugar process industry. 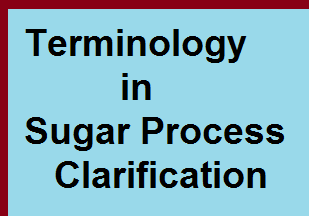 Sugar process industry terminology in crystallization section. 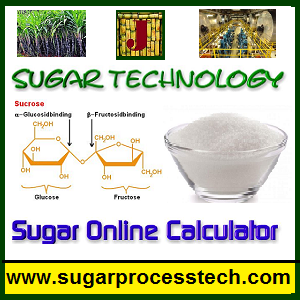 Terminology of Sugar process industry in centrifugal section. I would be very grateful to you if you could provide me the spray pond cooling system calculations.